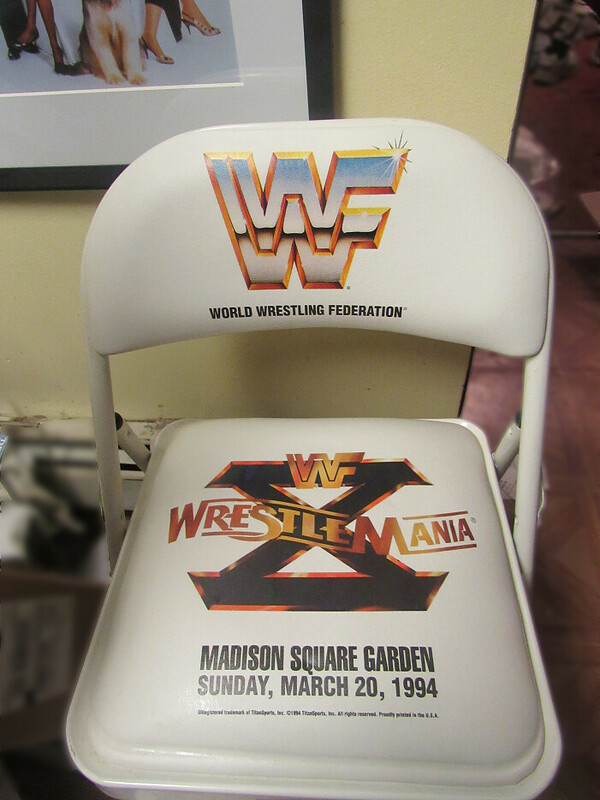 Well, since I found out that today was the 25th anniversary of WrestleMania X, I dug up my souvenir chair from that show. 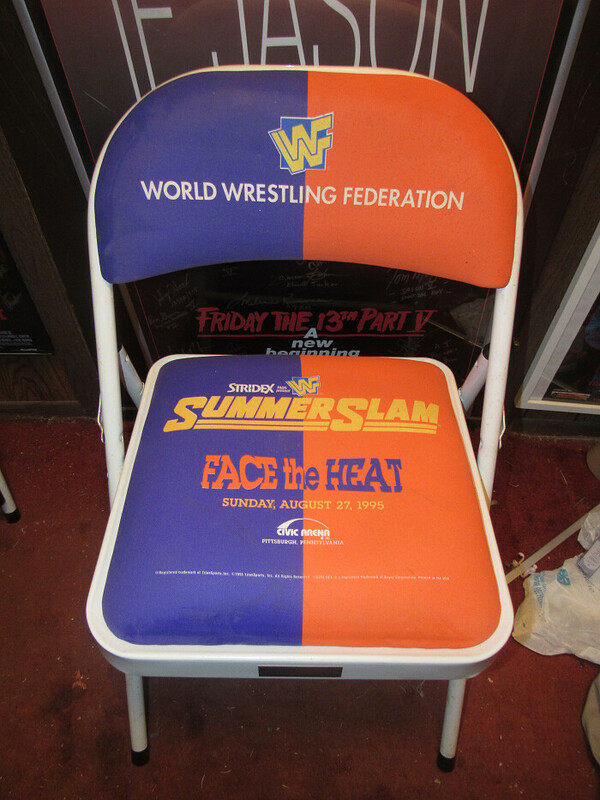 Back then (no idea if they still do this, since I haven't sat ringside in over a decade) if you had ringside floor seats in the first X number of rows, you kept your seat from the show, and I sat in the 2nd row for WMX. 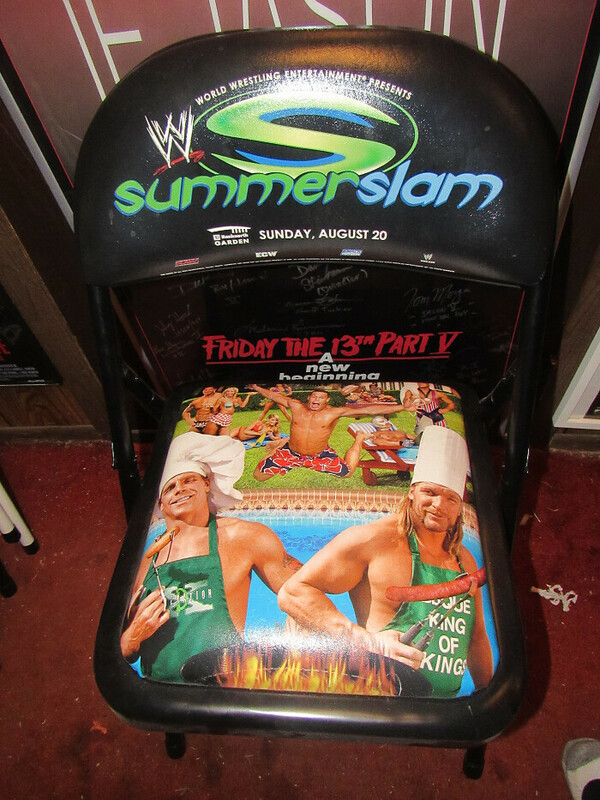 In my bedroom closet, I also found seven more souvenir chairs from shows I had ringside seats for - SummerSlam '95 (I was second row for BOTH HBK/Razor ladder matches), SummerSlam 97, SummerSlam 02, No Mercy 04 (the only PPV I ever had FIRST row ringside seats for), One Night Stand 05, One Night Stand 06, and SummerSlam 06. 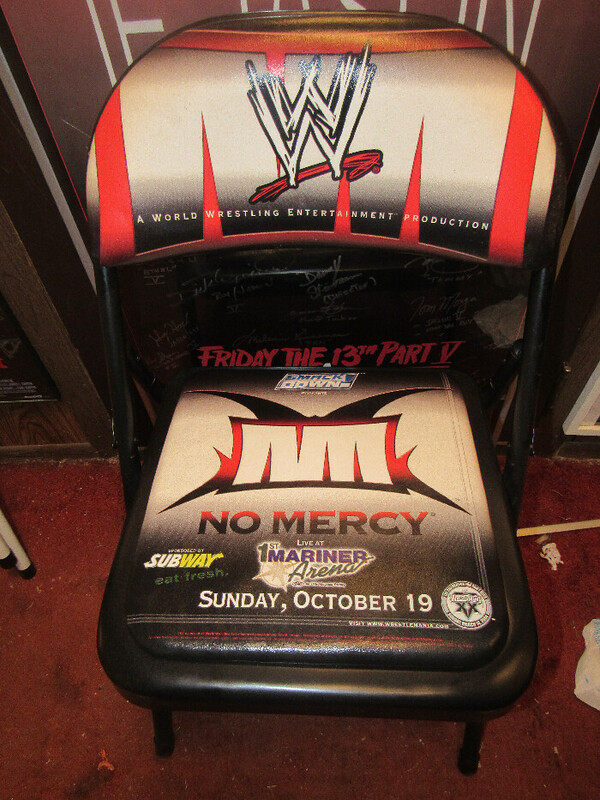 I don't really look for really good PPV seats anymore, due to the ever more ridiculous cost, and my decreased interest compared to the 90's, but I do enjoy still having these old seats, since it's a somewhat unique form of memorabilia. Wow very cool seats. You witnessed some classic matches and events. Those are amazing seats, man! Great collection of chairs. 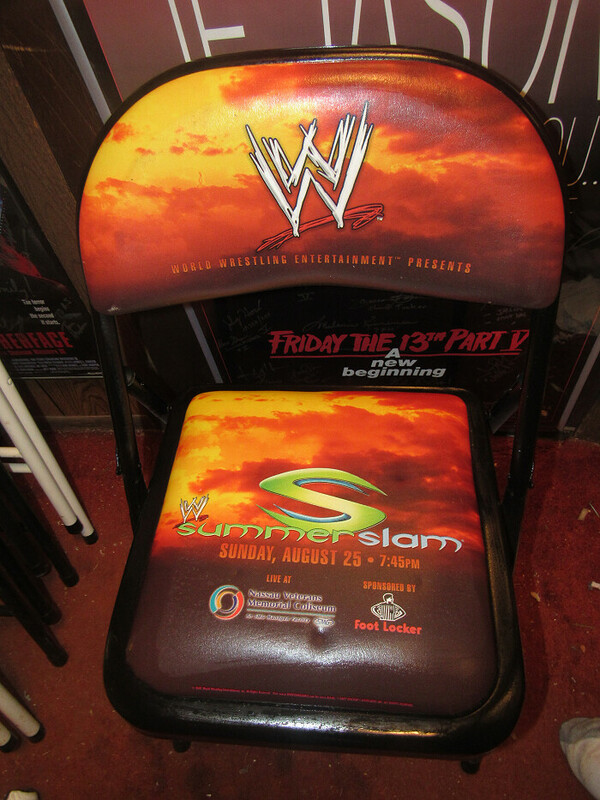 I love the souvenir chairs. I have three. One from a Smackdown show from 2017. One from the RAW 25th anniversary show and one from the Evolution PPV. 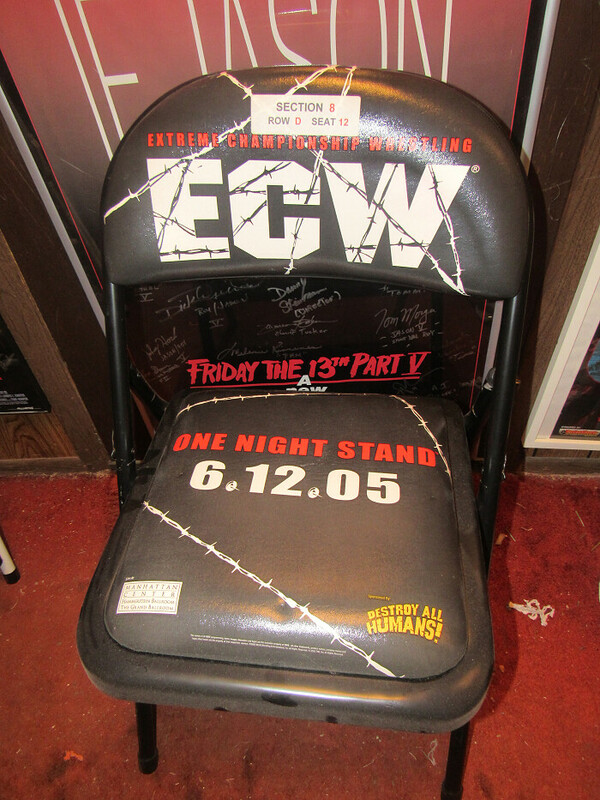 When i was leaving the Evolution PPV a bunch of people kept asking if i would sell the chair. The best offer was like $40. 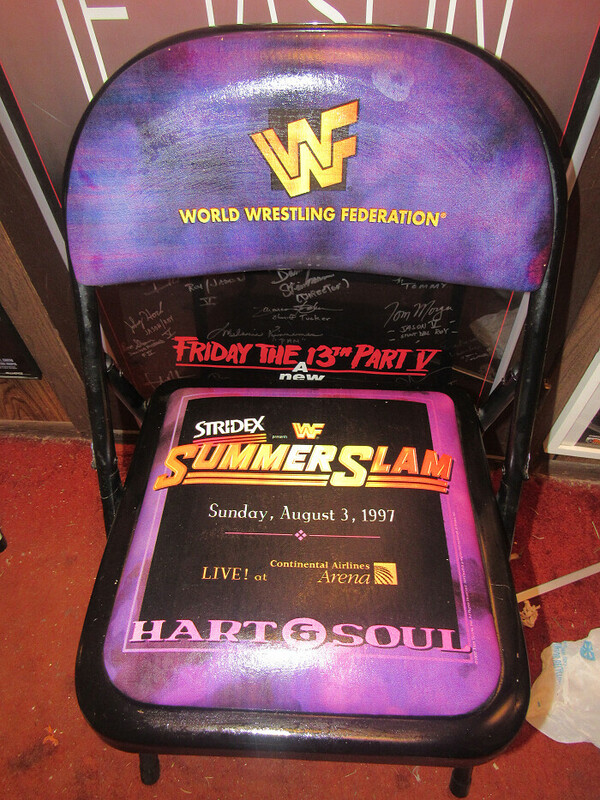 I wasn't going to sell it anyway but you can get at least $100 on ebay for almost any of the souvenir chairs so why would i sell it for $40. Don't forget you have to remove ebay fees, paypal fees, and shipping fees from that $100. And the trouble to pack and ship it. So when all is said and done the $40 isn't that far removed from your final ebay profit.